No dining table is complete without a salt & pepper shaker and a wine opener. 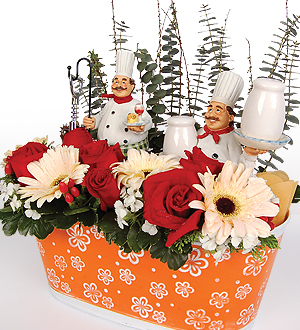 And if the new home owner is a collector of chic decorative pieces, these kitchen widgets from the Alberto Swiss Chef’s Collections will make a pleasant gift. Choice of a Alberto Swiss Salt & Pepper Shaker or Wine Opener. Make your collector’s friend happier with both the cool collectible widgets.